This course will formally begin on Sunday, May 12th, 2019. It will be available for purchase beforehand over the next four weeks and once you pay for this course, you will be able to receive access to this twelve-week course with an e-mail link to register as a student. You may begin watching the videos and completing the lesson materials officially on May 12th. There will be assignments, quizzes, tests, etc. due each Sunday that the teacher will grade for you and students will be informed of their points total as it stands after each week of the course. Enrollment space is being capped at 25 students for this 12-week course so please be sure to register for my course as soon as possible. Thank you for purchasing this Advanced Grammar course and I look forward to having you as a student beginning on May 12th. The advanced grammar course will cover a variety of topics to get you on the path to becoming highly proficient with the most difficult concepts in English grammar. Some of the topics covered in this online course will include the active voice, the passive voice, auxiliary verbs, prepositions, conjunctions, etc. If you want to master English grammar at the advanced level, give this course a try. Included in the course will be over 5+ hours of video lessons with Ben, the founder of 'English from A to Z' as well as over 400+ questions designed to test you on your newfound knowledge regarding the grammar topics covered in this course. 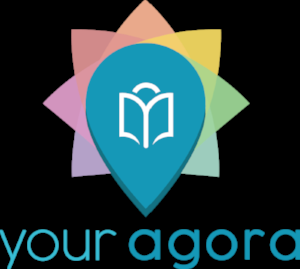 This Advanced Grammar course was created with the help of YourAgora, an ESL Learning Management system designed to help students like you succeed in the virtual classroom.